AIS Construction Equipment is celebrating its 55th year serving multiple industries and is the oldest “Michigan owned and operated” heavy equipment company. As a family owned company, AIS answers to its customers – not to shareholders. The goal of AIS’ professional employees has always been to help customers become more profitable by providing them with the best machinery available backed up by the company’s legendary 24/7 support. Loyalty and productivity have no expiration date. Come see why. At AIS, all employees have a focused commitment. The never-ending goal is to further improve the AIS reputation for parts and service support. All employees are empowered to make business decisions everyday based on sound moral principles. 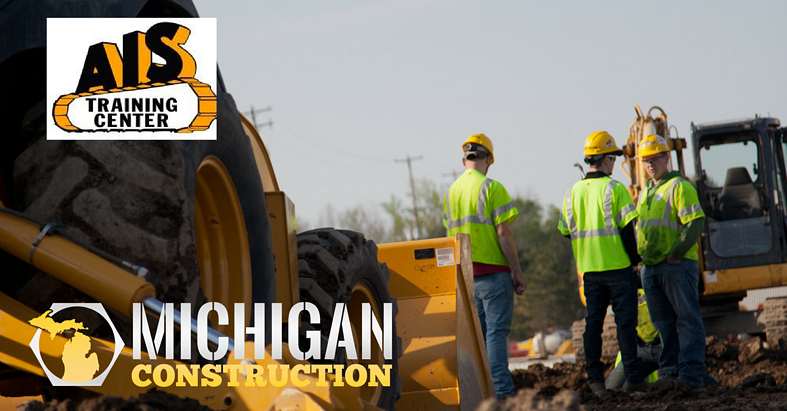 Today, AIS Construction Equipment Corporation, its subsidiaries, and employees serve contractors, municipalities, and farmers throughout the state of Michigan and beyond. AIS sells, rents and services new and pre-owned heavy equipment from the world’s most well-known and respected manufacturers. AIS service is among the best anywhere and provides the following services: field, shop, paint, decal, training, and reconditioning. In addition to being a well-known and respected provider of new and used heavy equipment for construction, agriculture and landscaping, the company runs the AIS Heavy Equipment Technical Institute, or AIS HETI, which began operations in 1995 in Lansing. The Center provides training for a variety of jobs related to heavy equipment operation and maintenance, as well as construction site safety and health, and custom programs upon request. The program works with Lansing Community College and the Eaton Intermediate School District at the high school level. The AIS HETI also accepts financial aid through a variety organizations and agencies. Read on to find out how Michigan Construction will pay you to train at AIS HETI. In addition to being a partner with Michigan Construction in the movement to change the way that people connect with jobs in construction and build a better Michigan, AIS HETI is a training partner in the MC READY Going PRO Apprenticeship Readiness Program. This program provides students with a six month paid training program that builds the foundation for a career in construction and connects them directly to the jobsite. To learn more about how you can get paid to take classes at AIS HETI, Lansing Community College, Michigan Concrete Association, Michigan Infrastructure and Transportation Association and Greater Michigan Construction Academy and get the certifications you need to start your career, click below.